Why do you need this keywords research? Because this is the most important part for every internet business. Without the appropiratekeywords you can't get potential customers! 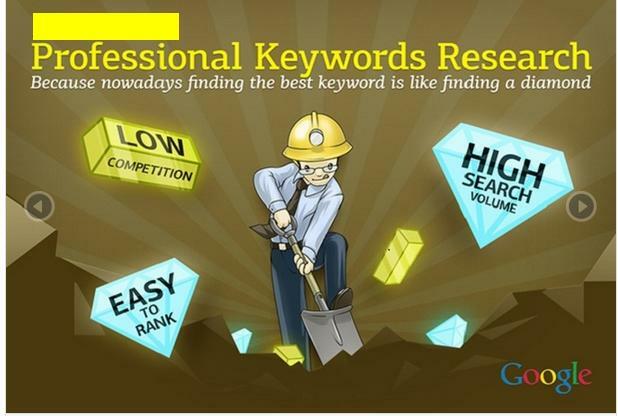 How does the keywords research work? We will combine years of experience + the best paid software in order to do the best keywords research for your business and to help you succeed! What to do with the report? The best thing to do is to implement the keywords in articles and upload them to your website. You can check the gig extras below, we offer Ranking Plan. What do you get with our keywords research? 50 profitable keywords with low competition that will boost your traffic and conversions on your site! Not giving you trash keywords that are impossible to rank for. When you succeed we succeed as well, this is why we want the best for our clients!